Gloria de Andrade has been weaving baskets for more than 20 years. Her baskets have won awards at various county fairs in Maryland were she originally resided. She has taught basket weaving to senior groups in Roswell GA where she also served as the Vice President of the Basketry Association. Her baskets include everything from the practical step basket, designed to make the most of the space going up a stair case, to the whimsical antler basket where a deer's antler serves as the handle of the basket. Gloria creates and teaches highly structured basket weaving, using both natural and hand dyed reed. Her baskets are all works of love and art, yet can serve many practical purposes. Instruction can occur at her home or yours, and varies in length and expense based on the basket picked. 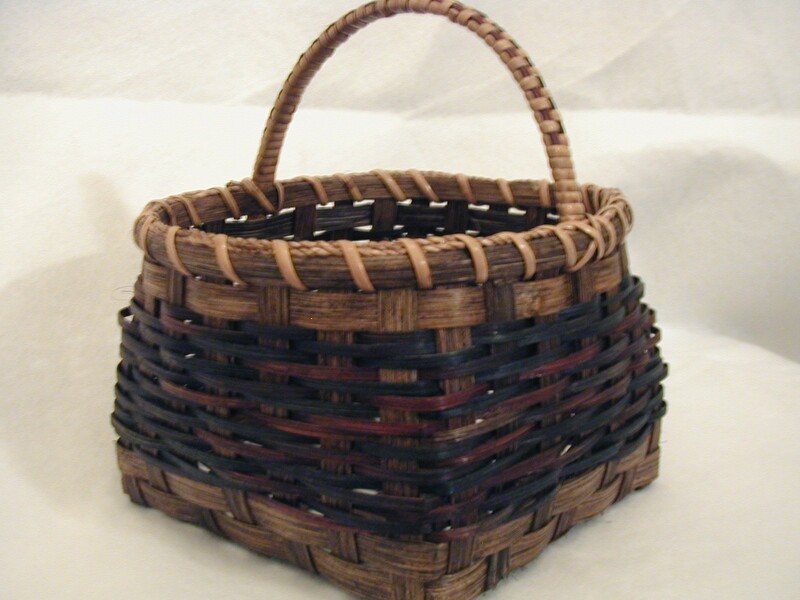 If you are not interested in learning but just buying a basket already made, a complete selection of her baskets can be found on this site. We will ship the baskets to any US location, and both the basket and the shipping can be paid for on our site. Call Gloria for pricing and timing for classes on Basket Weaving.